If you’re on the bulimia recovery path this year I want to give you a big hug and remind you that YOU CAN DO IT. 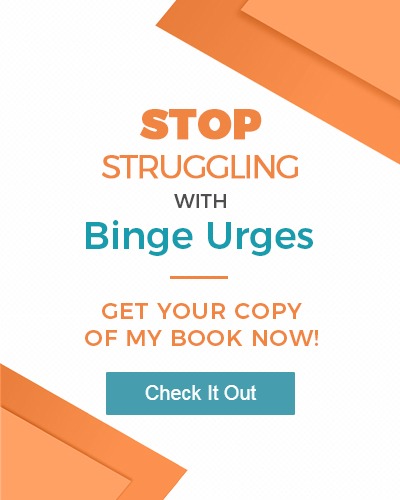 It was 20 long years I lived with bulimia and my story is like many others – it all started with the first step. Whether you’re on your first step or you’ve overcome bulimia years ago, we always have an opportunity to learn about ourselves and continue to grow and thrive. New years are for new beginnings and I love sharing what gives me inspiration as we launch into a new year. Once in a while something comes along that you just feel you must share with the world, one of those things, for me, is a book. I am elated to offer for my very first book recommendation; Ask and It is Given by Jerry and Esther Hicks. When I decided I wanted to include recommendations on the books that I’ve found helpful, or thoroughly enjoyed I couldn’t think of a better place to start than Ask and It is Given. This book has given me inspiration and comfort, as well as guidance and manifestation processes that work for me. When you are going through bulimia treatment it’s so important to have something positive in your life. This book will give you a starting place to understand how the Law of Attraction can help you. Though there are many messages within these pages, all of which I feel should be shared with the world, but we’ll talk just a little bit about one of the primary points. Ask and It is Given deals with the Law of Attraction. The Law of Attraction can be broken down into three steps. Most of us know how to ask, or to pray for things we want in our lives. The Law of Attraction works on the principal that things that are alike are drawn together (imagine 2 magnets that attract each other). Often you will hear people say things like “all you need to do is ask.” Well, here’s the problem, asking is just the beginning. This is the most important step of the process. While asking will make it clear to the Universe what you want, you’ve got to let go and truly believe in what you are asking for. It’s your work to tune your internal vibration to one where you believe that you deserve it. You get what you expect in life. When you’re suffering with bulimia and anorexia you end up focusing on the negative and feeling like the world may be out to get you. This brings us back to the Law of Attraction. When you’re feeling negative feelings like anger, depression or fear that is what you will attract. It is law. You cannot be depressed and attract bliss. Moving your vibration in the direction you want to go in is your work in this step. Keep in mind you’re not trying to jump immediately from depression to bliss. It can’t be done. But you can go from depression to anger to overwhelm – getting to generally negative will allow you to make the jump to generally positive. Then you can go from hopeful to belief to knowing. This step deals with not only the idea that you do receive what you ask for if you believe in it, but it also deals with the idea of being receptive. It’s important to be receptive to the positive flowing energy in the world around you. “If someone is not receiving what they are asking for, it is not because there is a shortage of resources; it can only be that the person holding the desire is out of alignment with their own request,” a quote from chapter 16. So instead of being upset that you haven’t received what you are asking for, reexamine your true desire. One of the effects of bulimia can be losing sight of the beauty, joy, and energy in the world. Ask and It is Given offers a reminder of these important concepts, and an inspiring way to live life. Pick it up and try it out for yourself and leave me a comment below to let me know what you think of it. Better yet, let me know of your experiences with the Law of Attraction in your life? How have you used the Ask and It Is Given processes to change your life?